When the Century Freeway opened in October 1993 after three decades in the making – the product of intensive civic conflict, and advertised as the world’s most costly road at over $100 million per mile – it was indeed an achievement of the century. Ultimately it was far more than a mere road. 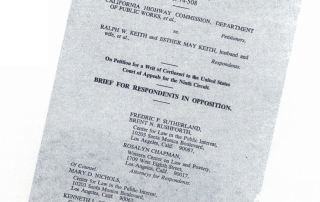 It also became a community development enterprise, an environmental improvement program, a housing project, and a legal precedent that may well shape all future freeway construction. To assess its significance we’ve been examining the record and interviewing the participants, and we will now summarize our findings.